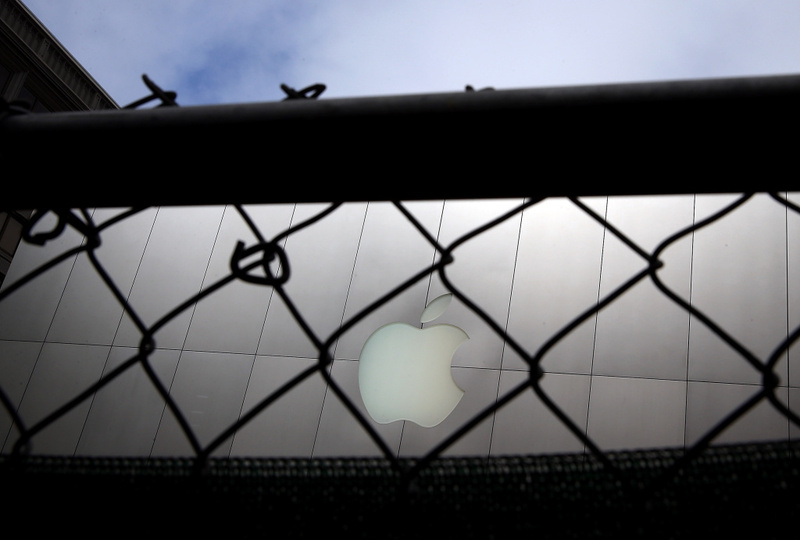 The Apple logo is seen through a fence in front of an Apple Store on July 10, 2013 in San Francisco, California. The court on Monday heard arguments in Apple's effort to shut down an antitrust lawsuit. Chief Justice John Roberts was alone among the nine justices in seeming ready to agree with Apple.